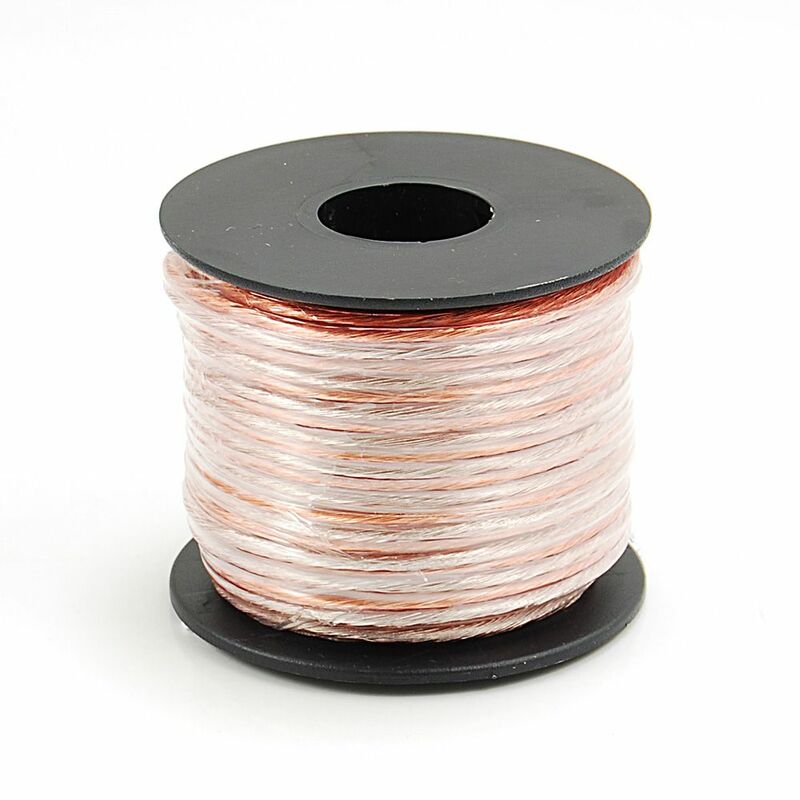 This 50 ft. 18-Gauge Speaker Wire features copper and aluminum conductors insulated and jacketed in PVC. It has very good flexibility. Use this wire to connect speakers to your stereo or home theatre receiver. 50 ft. 18-Gauge Speaker Wire This 50 ft. 18-Gauge Speaker Wire features copper and aluminum conductors insulated and jacketed in PVC. It has very good flexibility. Use this wire to connect speakers to your stereo or home theatre receiver. 50 ft. 18-Gauge Speaker Wire is rated 4.5 out of 5 by 24. Rated 4 out of 5 by Reype23 from Good for the price. Good for the price. Rated 5 out of 5 by Tundra from This product was very good quality and a good value. This product was very good quality and a good value.